Spare Filter Foams and Biological Ceramic and Carbon Media for the OASE BioCompact, BioPlus, FiltoSmart and BioMaster Aquarium Filters. Water Garden Ltd stock and supply a wide range of genuine OASE spare filter foams and biological filter media for the OASE Internal and External Aquarium Filters. 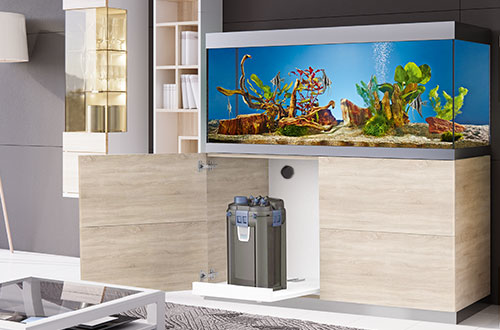 The spare foams, Ceramic Media, Carbon Filter Media and Hel-X BioMedia are for use in the OASE BioCompact, BioPlus, FiltoSmart and BioMaster fish tank filters. 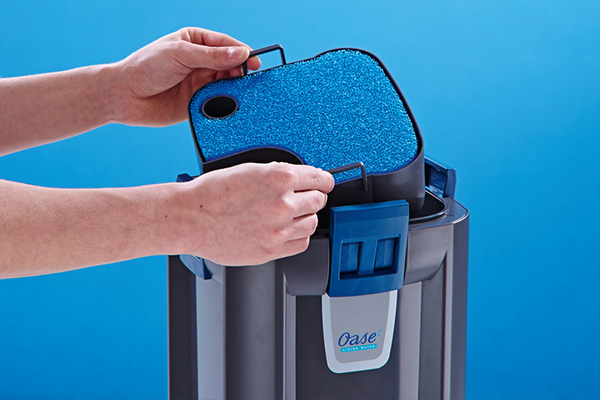 It is important to use genuine OASE replacement filter foams as replicas will greatly reduce the filtration efficiency and performance. Water Garden Ltd recommends changing filter sponges individually as replacing all media will remove the beneficial bacteria needed for the filtration process. We suggest allowing around 2 weeks between installing each foam to allow time for beneficial bacteria to migrate across and establish. Before an aquarium filter becomes effective and functional, a colony of bacteria is needed to establish itself within the filter. These bacteria convert harmful Ammonia, Nitrites and Nitrates into Nitrogen gas which is essential for plant life. Plants will convert nitrogen into chlorophyll which is used to convert light into energy. There are two main types of bacteria inside an established filter; Denitrifying bacteria and Nitrifying bacteria. 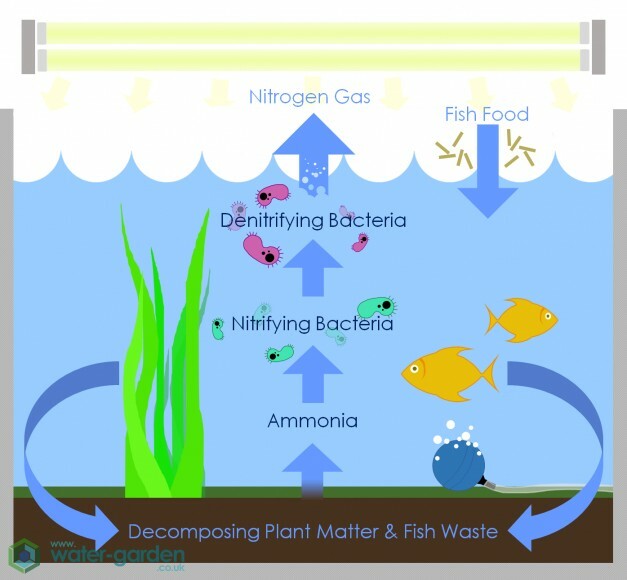 Denitrifying bacteria will convert nitrite into Nitrogen gas through the use of light. Nitrifying bacteria will convert Nitrite into Nitrate which is then also converted into Nitrogen gas by the Denitrifying bacteria. The beneficial bacteria are the most important part of filtration as they keep the cycle of waste running. Without these bacteria, plants and fish will quickly poison themselves from their own waste (Ammonia). Ammonia is created from decaying plants and food, dead fish, and fish excrement. The essentials for regulating the waste cycle are: a full spectrum light, a waste source (fish) and an ample supply of oxygen (see OxyMax Aerator Pumps). A new aquarium will take approximately 4 weeks to establish its own bacteria colony. To reduce the amount of time taken for this process to occur, supplemental bacteria can be added (BioKick). This will introduce a large amount of beneficial bacteria to the aquarium and greatly reduce the time taken for the colonies to establish.